I like the fresh salad rolls available all over town at the Thai and Vietnamese restaurants. 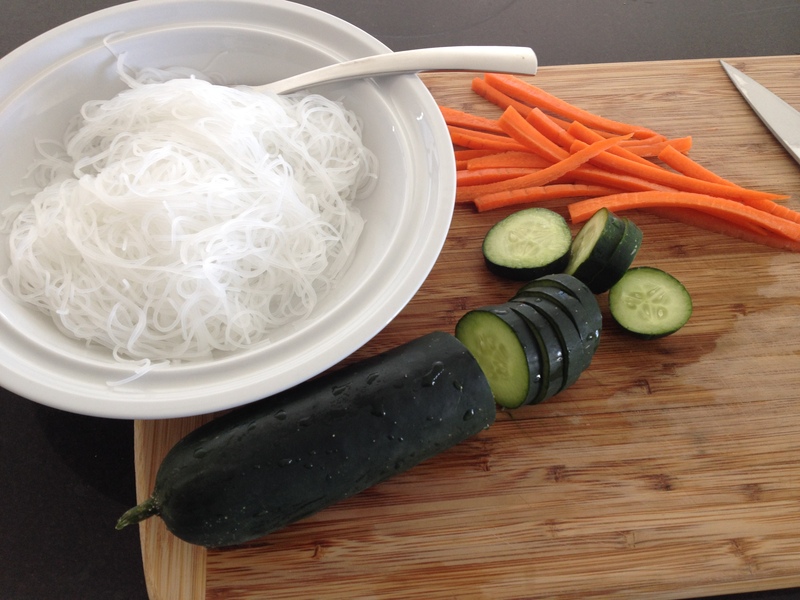 I wanted to make them myself, because it’s easier than walking the two blocks to my local Phó Noodle House. Besides, they’re usually closed when I’m hungry. So I found a recipe, and took a stab at making them. 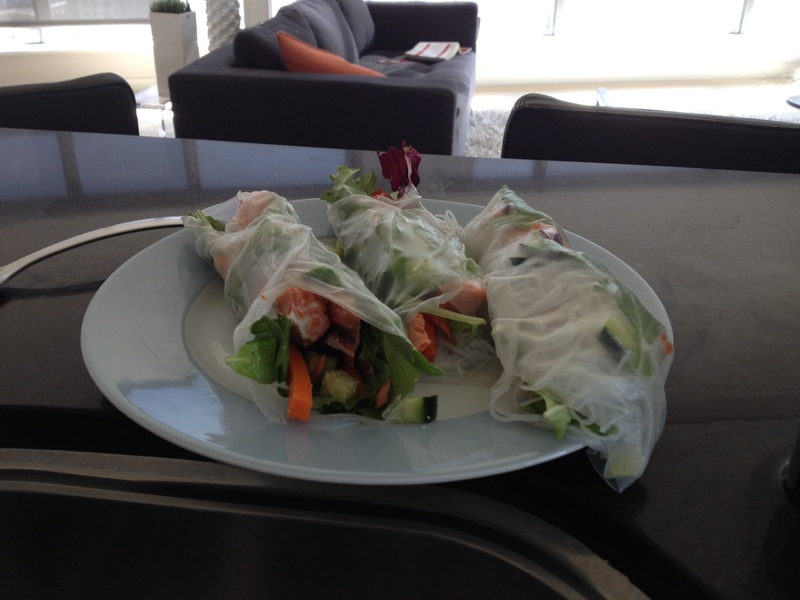 The rice paper wrappers are easy to use, but I have to learn to wrap the rolls tighter, and maybe use two of them. The rice noodles taste really good (yay starch), and the salmon is for the Omega-3’s and the B-12. I are them with fresh salsa I bought at the store. It takes practice! I love vegan fresh rolls, but it takes some practice to get the wrappers soft enough, but not so soft they fall apart. Watching a Vietnamese guy make them over and over, I saw that he did double up the wrapper by putting a smaller diameter wrap inside the the larger, outer wrapper to help keep the filling tight. I think I figured it out. You actually only need to soak the rice paper for a few seconds (the instructions say 5 seconds, I do about 20 seconds). It’s easier to work with semi-solid, and it reaches the right consistency on it’s own after you wrap it. I still might double wrap it for the extra starch 🙂 Hey, we both cycle (me indooors only)!